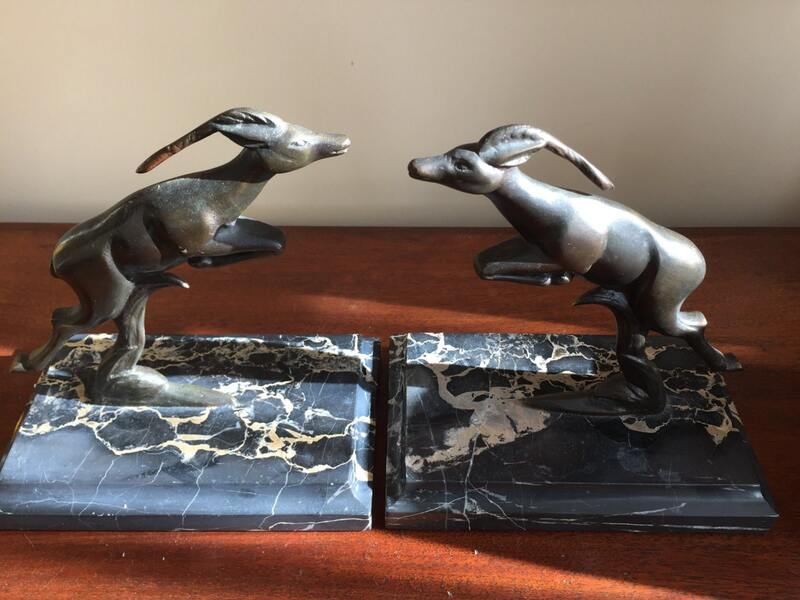 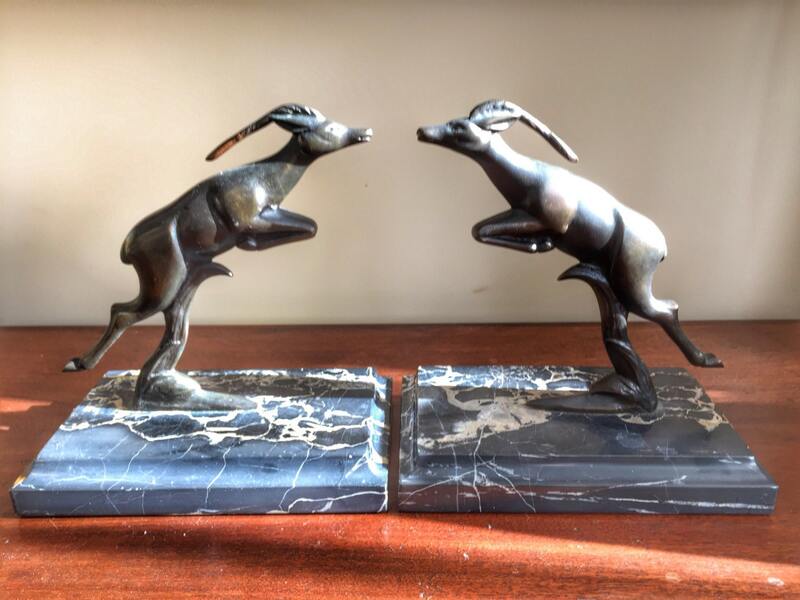 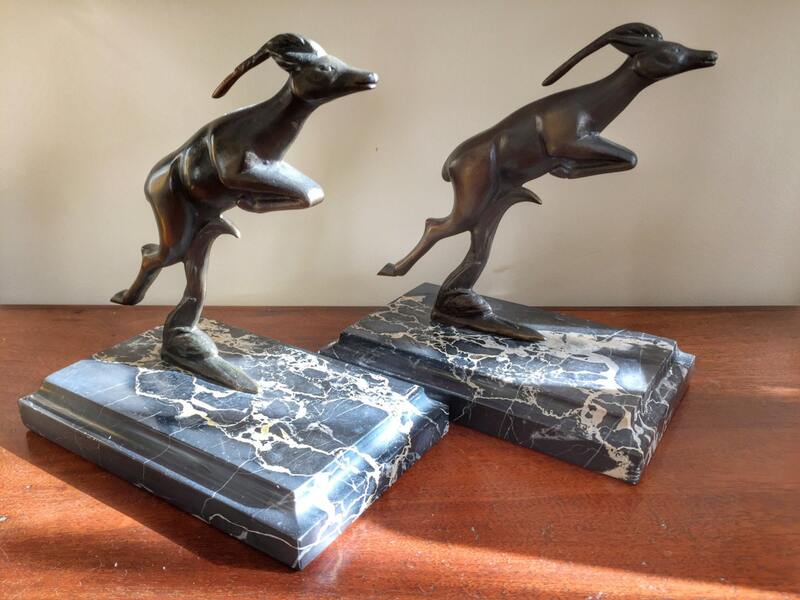 Lovely pair of Art Deco bookends in the shape of leaping Antelopes. 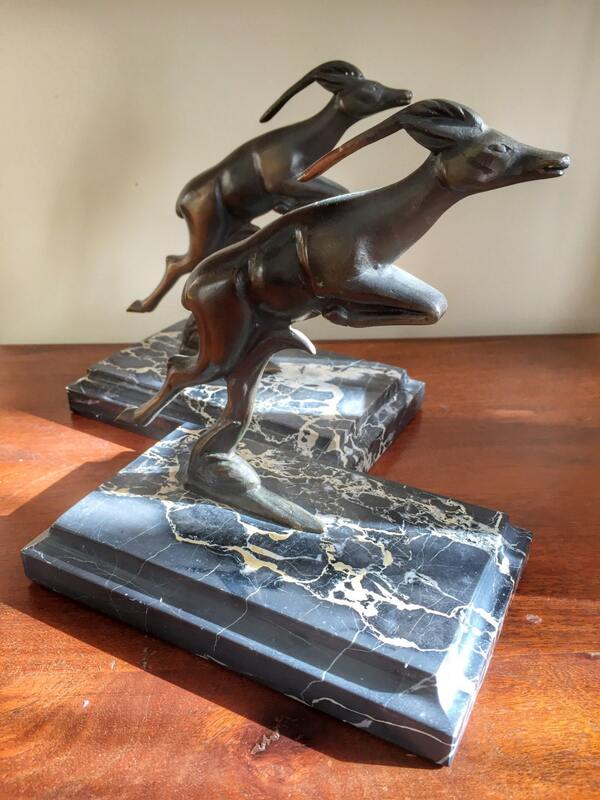 They are beautifully mounted on black and white veined marble. 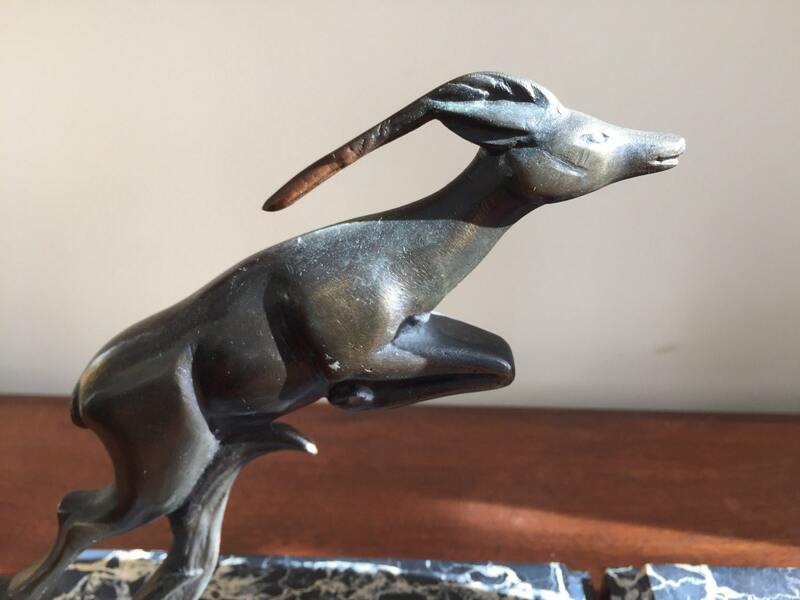 Very stylish and very heavy.